As is the case with a number of older malls, Macy's owns their "box" and could see this as a great way to trim an underperforming store and maximize its value by selling the property. 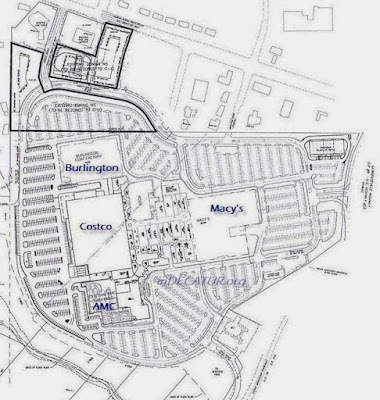 Additionally, the Goodyear/Macy's Auto Center outparcel could be an ideal location for a Costco gas station. Macy's reportedly has a deal in place with mall owner Sterling to sell their property, which in turn would lease it to Costco. According to a source close to the situation, Sterling has the Macy's property under contract and could close on the site before the end of the year. The new proposal would seem to allow for more parking close to the Costco building, as well as allowing for the wholesale club to anchor the new "open-air" revamp. Costco previously opened at a mid-tier mall, Cumberland Mall, in place of J.C. Penney, in late 2006. By all accounts the mall is doing much better than it had been, and will soon see a new Kroger open in a portion of the current Sears space. The most recent intown Costco to open was at TOWN Brookhaven nearly five years ago. At the time of the opening I spoke with James Sinegal, Costco's co-founder and then CEO. Sinegal said at the time that the North DeKalb Mall location had been "tabled" in favor of the Brookhaven opening. In preparation for this post, I contacted Atlanta native Richard Galanti, CFO of Costco and Jim Sluzewski, senior vice president of corporate communications for Macy's Inc., neither of whom would confirm or deny that a deal was in the works. Although this was my first time personally speaking with Lundgren, well placed retail sources report that this trip was at least the third by the Macy's CEO to metro Atlanta in the past few months. In a move similar to what I envision occurring at North DeKalb, Macy's announced last month that it will close its store at Owings Mills Mall in metropolitan Baltimore. Macy's agreed to sell the store building to mall owner Kimco Realty, who plans to redevelop the nearly 30-year-old property. Like North DeKalb, the mall was once a beacon in the area and was even home to Saks Fifth Avenue and Lord & Taylor. 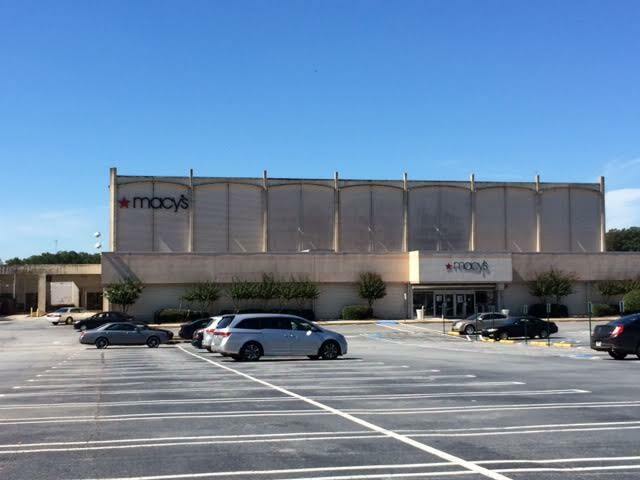 Today, Owings Mills Mall is home to a 17 screen AMC Theaters, J.C. Penney, Macy's and a few restaurant outparcels. North DeKalb Mall, then known as North DeKalb Center, opened in 1965 with Rich's fifth "branch" store, in the space now occupied by Macy's. 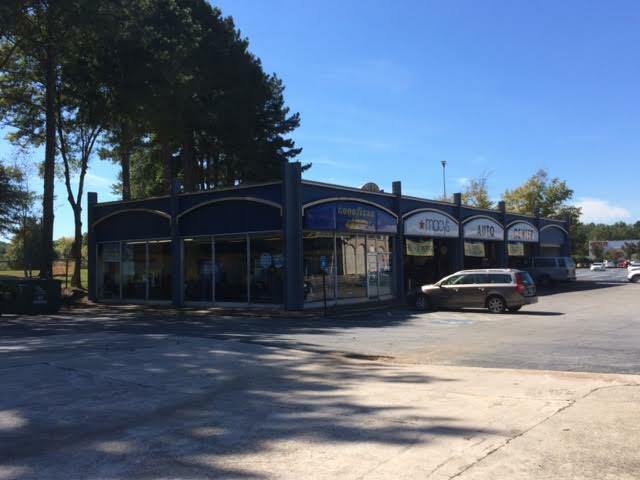 Last year, North DeKalb Mall was purchased by Lennar Commercial and Sterling Organization. The new ownership then announced plans to to convert the enclosed portion of the mall into an open-air concept. A similar transformation was completed earlier this year when Biltmore Square Mall, a once thriving mall in Asheville, North Carolina that had fallen on hard times, was reopened as an open air outlet mall, "Asheville Outlets." Although I have not been privy to any plans, I could see AMC Theatres and Marshalls remaining in the center after the transformation, while others would likely depart. Ross Dress For Less, which occupies a former Old Navy, could remain as well, but given they are opening a new store in Suburban Plaza, they may consolidate operations to that store. It would seem to be an easier task to lease space in the mall / "lifestyle center" once you add national anchors like Costco to the property. 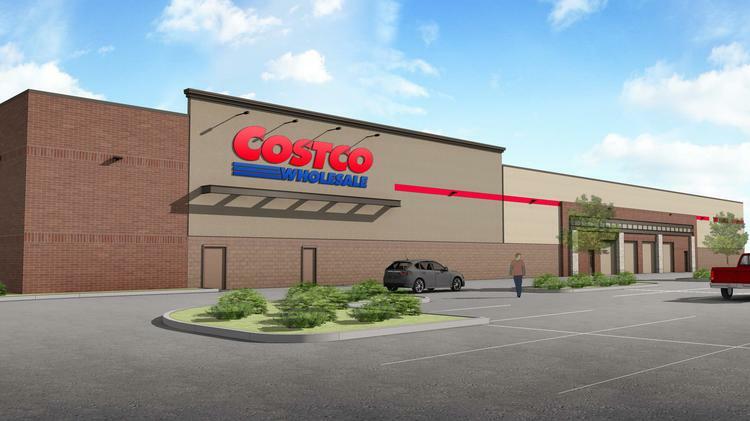 With luck, the Costco store will come to fruition, and will lead to a renewed interest in the property. What would you like to see happen at North DeKalb Mall? 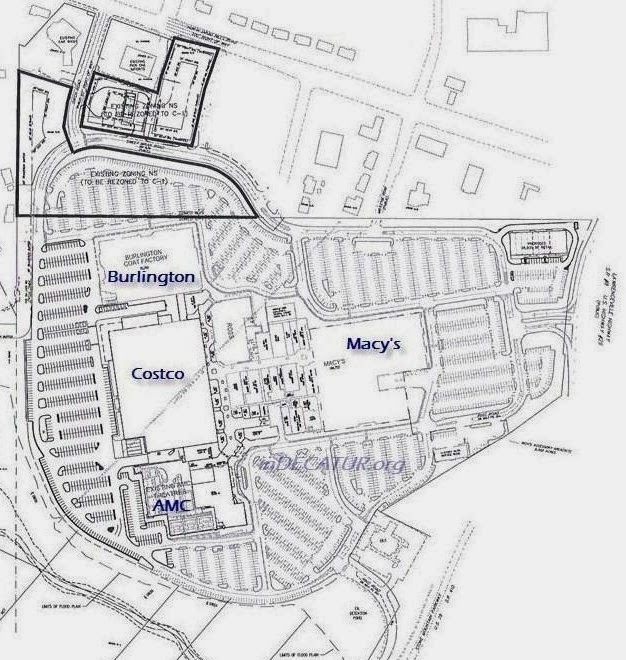 Would you be in favor of Costco coming to the mall, even it came at the expense of Macy's? If North DeKalb were to get "de-malled," what other retailers would you like to see join the center? Very interesting report. I do wonder about that Macy's. Are they so cheap they can't even afford to give the place an occasional new coat of paint? The exterior looks like an absolute dump, and sets the tone for the entire shopping experience. I agree. Even Burlington managed to redo they're building as well as AMC and the Macy's is simply making the mall look more aged then what it already is. The Macy's they're should part ways but I don't think a Costco would really help because they don't tend to have interior entrances which lead into the inside of the mall they usually block themselves off. I was in the area a few months back and I agree Macy’s has really let the place fall into disrepair. I suspect the North DeKalb location is a more likely closure candidate than Northlake and it’s obviously difficult to see both remaining open. I do however wonder if under the right circumstances Macy’s might be better off with a location in the Decatur area. There are a number of affluent shoppers in the area and an upgraded North DeKalb/Macy’s could tap into that purchasing power. Northlake seems to be closer to Perimeter and not sure the surrounding area has as much spending power as Decatur. That Macy's is a sad little store so I'm not sorry to see it go. I live within walking distance and to have a Costco here would be great. I'm a huge fan of the place but don't find it worth it to fight the traffic in Brookhaven to get there. The whole mall needs some serious redevelopment and this would be a big step towards getting that done. Will be nice for all of the local gas stations and convenience stores to shop at Costco to purchase their things to sell instead of having to go all the way to Brookhaven. Macys does not have a good selection of big and tall clothing. A big and tall store would do well as there are none around here. I happen to be both big and tall. Costco would be a better fit for the area as the mall is in decline and is unsafe. People like to shop in malls that have lots of people in them like Perimeter or Lenox. North DeKalb Mall should just be demolished and turned into a welfare office as fast as this place is going downhill. You're not alone in liking the existing facade. It's wonderful. The proposed Costco facade is bland, boring and already looks dated to me. I wish they'd stick with the retro look. Dammit Adria, I can't find the 'like' button for your comment. What would be super cool would be for Costco to entirely keep the current architecture, but just paint it in Costco colors: eg. the upper arch part could be royal blue, and the light peach walls could be gray. Thus, the exterior would be cleaned and freshened up, while embracing the retro original architecture. Would probably be less expensive to go this route than putting on an entirely new edifice. I love the North Dekalb Macy's and the product line they carry there. Not everyone can buy all the upscale clothes in The Lenox and Perimeter stores. It would be great if the mall could have Macy's and Costco. Classic 'department stores' are a thing of the past, and Macy's in particular can't decide if they're Saks or Target... so look for this to be just the first round of closings for them. It's a shame to see what's happened to the North Dekalb Mall, which is only a notch or two above a flea market these days, and I don't see a Costco boosting that very much. "North DeCrap," as we have taken to calling it over the last 15 years, would definitely benefit from a Costco makeover, and I hope it involves demolishing much of the existing mall. (Sorry, Leapin' Lizards... I know y'all just moved in, but you can do better!) I imagine that quality tenants would soon be attracted to the space with a proven brand like Costco. This shopping center has gone from "eh, it's OK" in the mid-90s (when it was known as Market Square and had some decent retailers) to a near-slum. I remember when AMC opened - it seemed like a real boon for the place... but then all the stores started closing... some after barely establishing a presence (to wit: Old Navy). Rhodes Furniture was another effort, but it quickly devolved into a different store, "Shoder Furniture," a transition which involved actually moving letters around on the Rhodes sign to change the name - a move so laughable that it made me want to cry! So, in summary, PLEASE GOD, LET THIS BE TRUE. KILL THE MACY'S AND DELIVER UNTO ME A COSTCO. While I would love to see the outside of the building stay the same I doubt that Costco will go that way. Most likely they’ll level the old building and build a nondescript “big box”. Not only would this be less expensive I suspect they’ll need a different layout than the old building would allow. A Wal-Mart SuperCener, Super Target and a Family Dollar will bring lots people to the mall. along with more traffic. can't wait for it. Costco is not coming to the mall, since they seek people with lots of cash to spend on things they do not need. Take a look at the towns where they reside. Agreed, I like to go there for the architecture. It would have been something if the Scott Baptist Church facade could have been maintained and development updated behind that. In Europe what was an old church becomes an indoor market or useful community center and exhibition space. It would be great to keep some of those hand-layed brick walls of the Macys. I would like to see the low-end stores go away. Our area will never be revitalized and successful as long as Burlington, Ross and those other cheap stores remain.
" There are a number of affluent shoppers in the area and an upgraded North DeKalb/Macy’s could tap into that purchasing power." Yes, affluent. It's 2 miles from the Decatur Square. Yes, Affluent. Downtown Decatur is 2 miles away. To improve the area and attack high end businesses and customers, we need to address the crime. The police is nowhere to be found and they don’t enforce the laws. Criminals are doing whatever they want because they are getting out of jail immediately after committing a crime. There was an article in NPR about this topic. Some of them have been jailed over 50 times and they are back on the streets. City of Decatur alone can not drive the ecomony of the entire area. besides they have a saying "Keep It Indie-Catur"
I'm a GA native and grew up shopping in the 1970s at Rich's while our car was being worked on at North Dekalb. I agree that while North Dekalb seems like the better choice to close now than Northlake, the reverse is true for long term. With Walmart moving in, the immediate area doesn't need another discount store (Costco) within 1 mile. Don't get me wrong, I have a Costco membership and loathe the drive from Decatur to go to a Costco. However, the high price of homes in City of Decatur and near Emory warrants an upscale retail store like Macy's. What Macy's at North Dekalb needs is a 21st century facelift, much like what I'd being done I'm the new Walmart plaza. I grew up in that area. It has really gone downhill. It is a wonder how all the McMansions are popping up, the land values are high, and many consider the location good. Frankly though, that area, all the way to Northlake, has become a very dangerous, high-crime area. Such a shame. DeKalb county as a whole is going the way of Clayton, I fear. That being said, I sure miss the days of Rich's. Times do change, and not necessarily for the better. 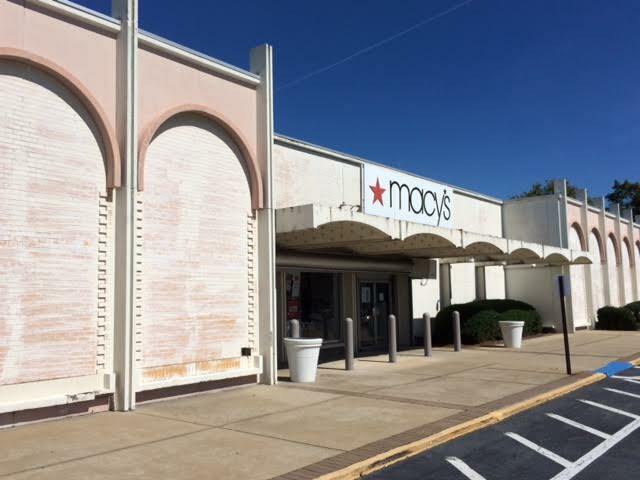 "Affluent Decatur" hasn't had any effect on North Dekalb Mall in a long time so Macy's will go. Those shoppers have had years to spend money there and have obviously found other shopping venues they prefer. A sudden spending spree is not going to save that store. Omg, I'd forgotten about Shoder! Laughing all over again, and amen to the Costco. If Costco is allowed to buy the Macy's space the building will be torn down. It is hard to see an argument for the mid-60s facade going anywhere. Anything remaining might be complementary but the new building will not connect to the mall. I think it likely that, within a very short time, the rest of the mall will come down too. We need a store like "Trader Joe's" there !!! Should be interesting to see how this evolves if the LaVista Hills initiative passes. I'm guessing CostCo will jump regardless, but if the initiative passes it will be much more attractive because of the tax base. Hi I live about 4 miles rom the North DeKalb Mall and have said to others why does Macy's continue to let it's store there go down hill . It was a great idea about 5 or 6 years ago when Costco was trying to get neighborhood acceptance of a new store to the back entrance to the existing mall an had a scale model in the mall for people to sing up ya/na. The neighborhood apparently voted it down. I say let the big developers that do all kinds of research before putting millions of dollars in a new construction plan and they have usually been on spot. The neighbors are not going to be there all that long any way so why should they decide for all of us wht should or should not be done. I think if Costco is still actually interested in the North DeKalb Mall spot of the current Macy's store in the mall just let it be and don't try and design a store for them they have been in this business awhile and probably know best what is going to work in the long run and that is what we really want. Long term development the looks great, is well maintained and is kept safe no matter what time of day or evening you are wanting to be shopping there. Golden Coral would probably love the Costco Store coming into the mall it will bring in traffic for them that they currently are not getting. I don't want them to close up we were a long time getting a place like that in side of the perimeter. There is also on going talks that Chick Fil et may take over the Macy's Goodyear tire store which would be great also. They were one if not the first fast food restaurants in North DeKalb Mall and stayed through many changes but finally closed its counter inside because there was not enough business to keep it operating. The new Walmart is a plus for the general area, the Kroger on N. Decatur Rd has finished a great enlargement and added more gas pumps. The Church at N. Decatur Rd and Scott Blvd is not gone and I have not idea what will go there other than more housing and some retail and the vacant Ford dealership is a large parcel of land the will soon be a new development spot I am sure. I did not grow up in Atlanta but I have lived in the city of Atlanta in the same house since May 19809 so I love the new things that are now happening. So let the big boys run this show and we will all be happy in the long run. Joe from city of Atlanta in Lake Claire area. North Dekalb up to Northlake is a going downhill high crime area? What? The stretch between the malls, Oak Grove (and other parts of what might become Lavista Hills today), is a good bit more affluent than Decatur. Either way, North Dekalb mall is totally out of sync with the surrounding area. Northlake too, but at least it has some stores worth going to. Hi I'm Joseph and I'm back again, I'm from the Lake Claire area in DeKalb County but inside of the city limits of the City of Atlanta. Let us not worry or think about being affluent, especially if you are signing your message "Anonymous". Who are you to decide or say anything good or bad that goes on in the area if you are not willing to stand up and be counted as a really concerned person. If the people that thinks of themselves as being affluent please move to the Buckhead, Morning Side, Ansley, Midtown or Colony Square residential areas. Most of those people may be affluent or think they are and do have the money to back it up for the most part. Those of you anonymous folks out there in the general shopping area of North DeKalb Mall and Suburban Plaza/Walmart zones need to move to a place that is right for you because it would appear that you do not fit into the middle class neighborhoods of this area. I'm retired and my home is paid for and has a value of abut $400 to $450 thousand. So I'm doing ok but I do take advantage of shopping smartly and going out to eat smartly.  You will not find me at the real up scale restaurants but I enjoy going to the medium priced places around ToCo Hills but I don't mind letting family and friends know I also go to the fast food places also and I would be willing to bet that I am rubbing elbows with a lot of you anonymous folks at the places I go to. While many of your comments may have been accurate a few years ago I suspect you haven’t spent much time in these neighborhoods recently. Many of these areas are experiencing a lot of positive growth as a lot of young families no longer want to live in places like Grayson. So, is this area upscale? Maybe not when compared to Tuxedo Park, but definitely affluent enough to support a Macy’s. For example the median household income in Tucker is about $15,000 a year more than that in Atlanta. I thought that Costco moved on from the North DeKalb location because they couldn't build a gas station. Either they couldn't get the zoning changed, or the nearby neighborhoods were against it. Has that obstacle been removed? I would really enjoy having a Costco closer to home, however this may be wishful thinking. Costco, Whole Foods, and Trader Joe's do excellent research into the demographics for a new location. No doubt there are affluent households in Decatur/Emory/LaVista Hills, but are there enough of them? On a related note, I think WalMart looked at the current statistics for Decatur to see that there were enough low-income households for their Decatur store. However, I don't think WM took into account the trends of gentrification, increasing housing prices, and redevelopment of Decatur. In 10 years their customers will be pushed out of the area. I too love the old Macy's building, same architecture of the original Lenox, you can even see some of the orange glazed brick peeking out from beneath the fading paint on the south side of the store. Even so, Costco will most likely demolish the building and start over using their own footprint and standard box. I'm not sold that this is the Macy's in question. I think that Northlake would make a better candidate, it has a bigger footprint, has a huge outparcel, and is easier to access from all streets. Id be sad to see Macy's leave for a Costco?! Are you kidding me people? A Costco??? As far as merchandise selection North Dekalb Macy's offers so much more than Northlake. I know it's only a matter of time before they are both gone but I much rather shop at these locations than Lenox or Permeter. I liked the comment made by another contributor who said Macy's can't decide if it's a Saks or a Target. I'm leaning on the Target side of things. I miss Rich's so much. Been to many Macy's stores and they are so much the same now, nothing special about them. Pushing so many coupons and discounts, and for the most part cheap soft goods. Not a place to shop to buy anything special. Very sad. Fitness and Wallmart are open. This wallmart is much nicer than memorial drive...even some organic produce and canned items. This area is changing for the better. Starbucks about to open as well. I will miss my little Macy's. I have been shopping at that location for 30+ years. I knew the store employees by name. It is convenient and I could zip in, find what I wanted in a flash and zip out. I know many of you are excited about future prospects but pardon me as I mourn for my beloved Macy's north Dekalb. While I'm not thrilled about a Costco, I would love to see the mall redone. It is old, in poor repair and offers little in the way of shopping or food. Decatur is expanding by the minute with a great deal of income in the area, but shopping leaves a lot to be desired and I find myself going all the way out to Mall of GA to do most of mine. If you build it, they will come. Keep the AMC (perhaps give it a make over), bring in stores like Barnes and Noble, JC Penny, Kohl, Disney Store, Apple, Staples, Starbucks, and restaurants. I think Macy's should remain, but on a smaller scale. I think the city of Decatur deserves a store like Macy's close by. 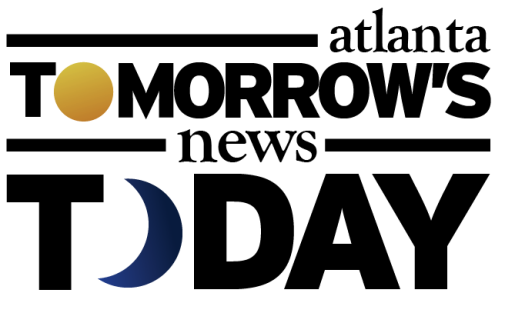 There is a lot of people moving into Decatur city and surrounding areas that would like to shop there. Please, please, please open a Costco at North DeKalb Mall. The entire northern portion of the county would benefit from such an opening. Any update on North Dekalb Mall?